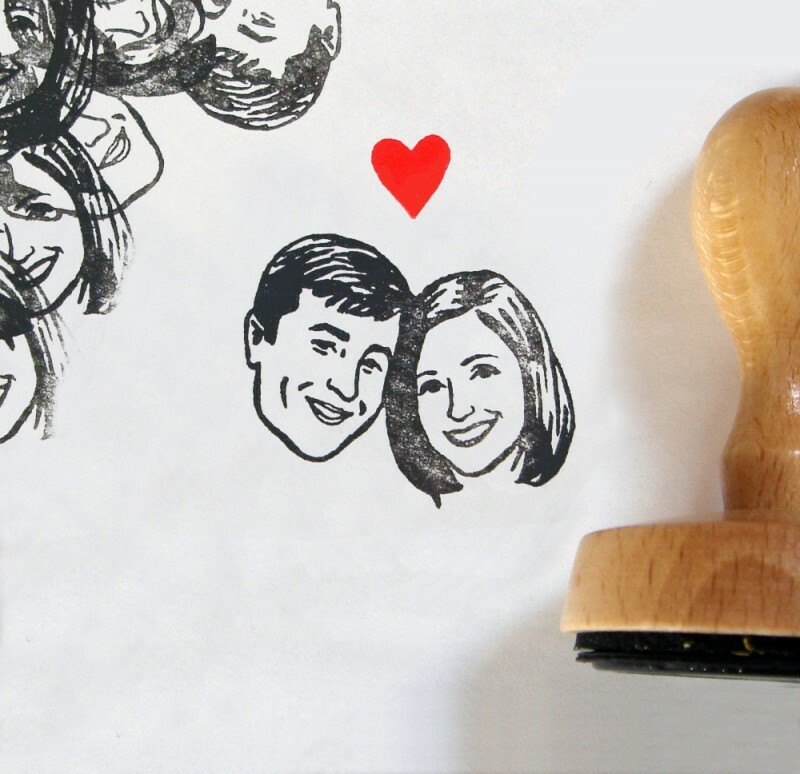 Want to make your wedding invitations stand out? 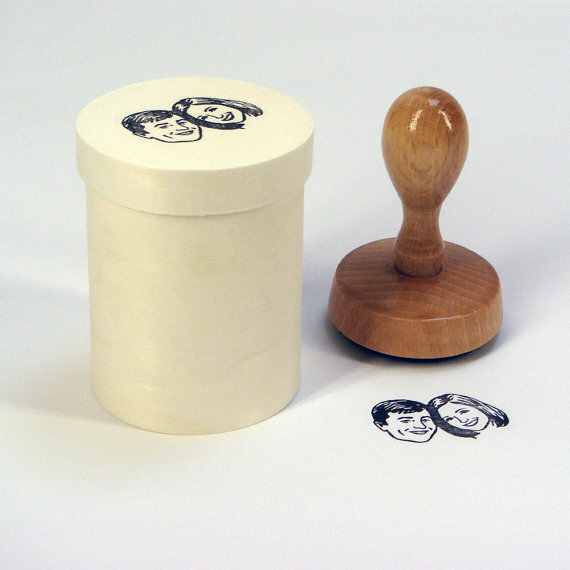 Look no further than this custom portrait rubber stamp! 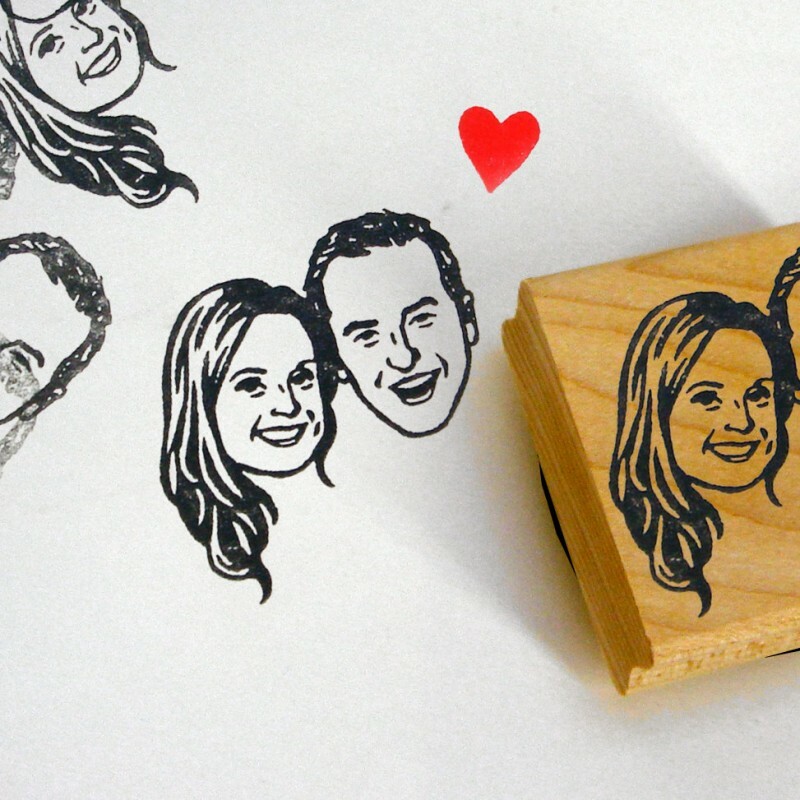 It’s an actual rubber stamp that is made FROM YOUR PHOTO and in your image and likeness. Imagine how many ways you can use this: on invitation envelopes, on return cards, on thank you notes, favor tags, programs… and then afterward on your own stationery! 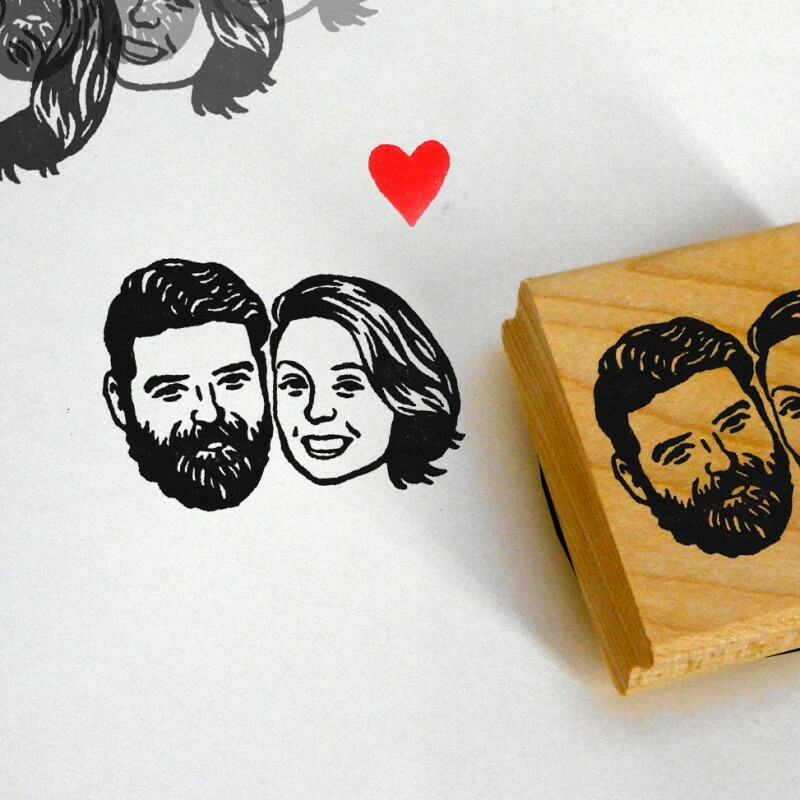 I love how this rubber stamp really looks like the couples it represents; moreover, it isn’t overly “wedding” so it continues to be functional long after the big day. I want one of these just for the heck of it because they’re so darn cute! 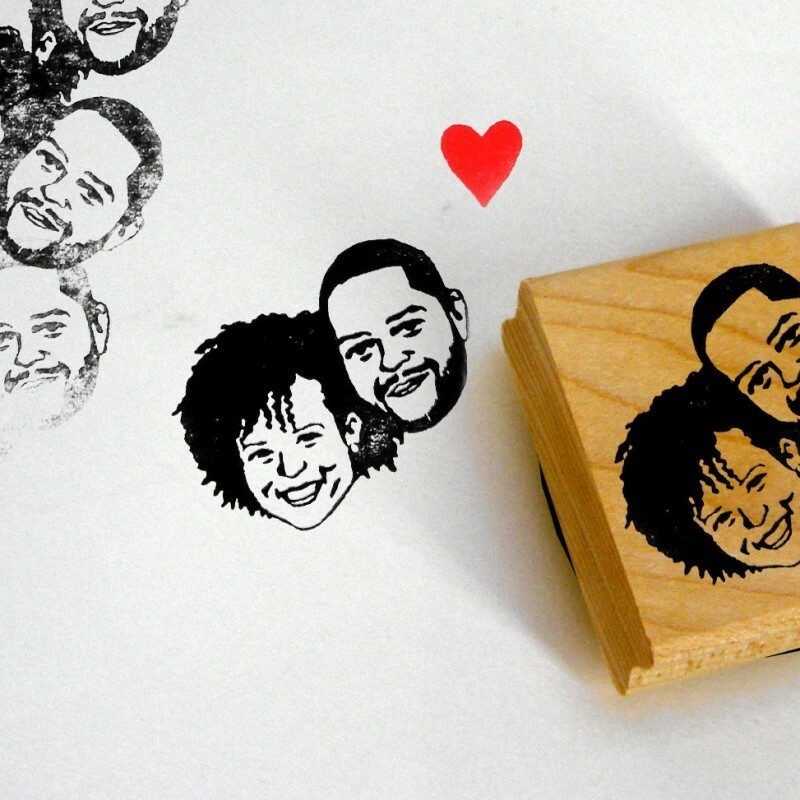 This custom portrait stamp is made with love by Lilimandrill and you just have to see the examples below. It’s today’s #HANDMADEADAY find. Enjoy! 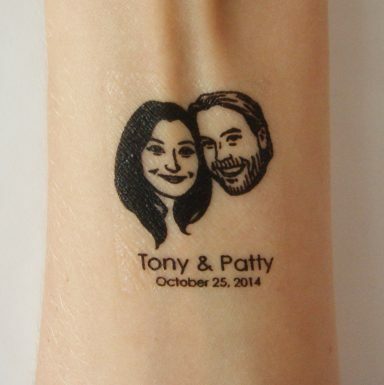 And, if you prefer, you can have your stamp turned into temporary tattoos instead — a unique wedding favor idea. Want to see how they look compared to the actual couple photos? 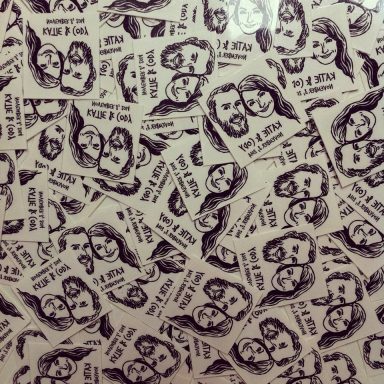 Click here to visit the shop, where you’ll also find more details on the custom portrait rubber stamp and temporary tattoos. Enjoy the rest of your weekend! See you bright & early tomorrow morning as we kick off a brand new week of handmade wedding inspiration. New here? Be sure to subscribe so you don’t miss out!